UPDATED Flame in person in the relaxed atmosphere of a pub at OSM’s 2nd anniversary party. Argue the finer points of GPS devices. Find out what people look like. This entry was posted in party on June 23, 2006 by Tom. This entry was posted in Uncategorized on April 13, 2006 by Tom. 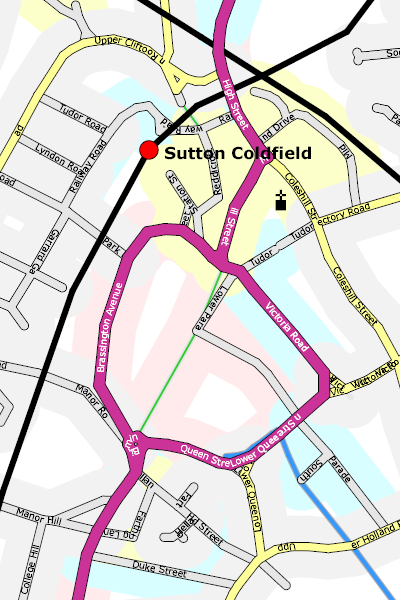 Andy Robinson has produced a large and featureful SVG map of Sutton Coldfield using the aforementioned Osmarender and OpenStreetMap. Click the image below to get an idea of how far we’ve come, and see Andy’s entry on the OpenStreetMap wiki for a link to the SVG version and more about how it was made. 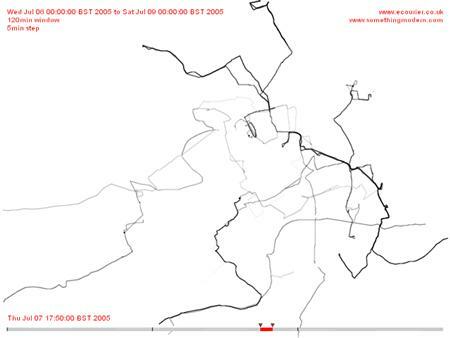 This entry was posted in geodata, media, pretty on April 13, 2006 by Tom. This was going to be part of an earlier post, but should now stand alone. When we’re not working on free geodata creation for OpenStreetMap, we like to make the best of the current free beer commercial mapping APIs to make neat things like GPX viewers and pub maps. In the light of some of the more amazing Google Maps mashups out there (here’s a recent decent), these sites might seem underwhelming, but if you consider how quickly they could (or couldn’t) have been put together a year ago then it’s clear that thanks to Google Maps we’ve come a very long way. Tim O’Reilly recently asked the Mapping Hacks people, and others, why Google Maps was so much more popular than all the other APIs available. Schuyler pretty much nailed it, though after my Mapstraction research I think he’s too generous towards Yahoo and Microsoft. I note with disappointment that neither Yahoo nor MS offer polyline support, which leaves my desired cross-vendor demo of a GPX viewer dead in the water. It also means that anyone requiring that functionality for drawing routes or boundaries is stuck with Google for the time being. Ironically for Google however, their recently developed open source Explorer Canvas might offer a cross-platform way for Y! and MS to compensate for this. Further disappointment with alternatives to Google Maps comes with the realisation that Yahoo’s maps only cover North America so far (although I was pleasantly surprised to find Microsoft is the only provider to give any road or placename data outside of North America, UK and Japan). 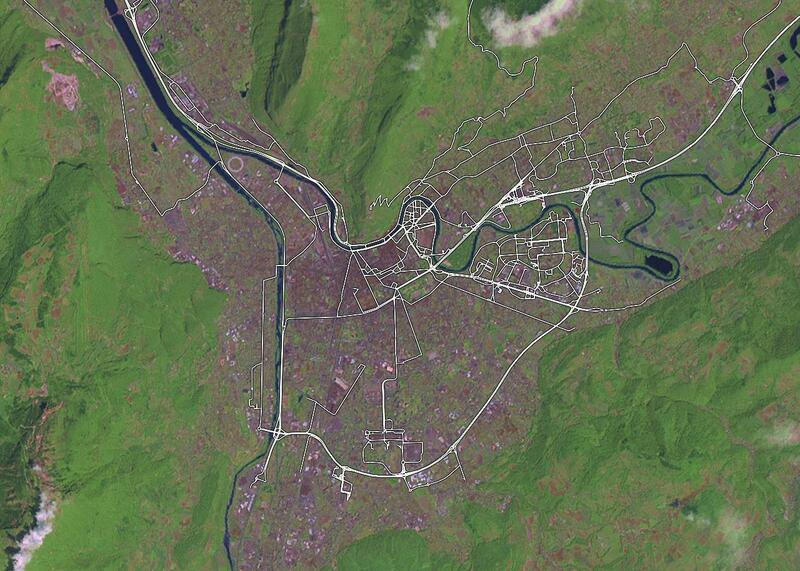 This entry was posted in copyright, geodata on April 11, 2006 by Tom. The SVG output we demonstrated a while ago continues to be improved in the form of Osmarender. 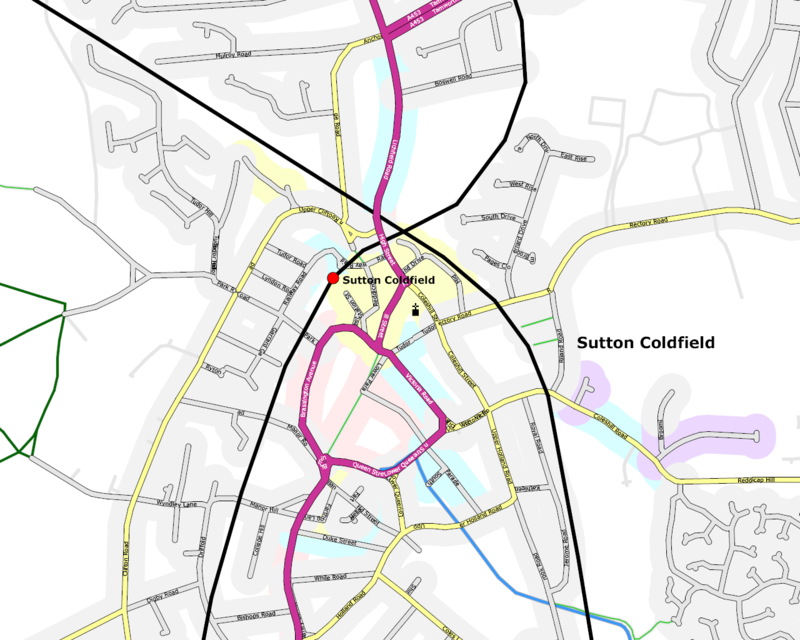 With the right pieces of sticky-tape and string, there is now an end-to-end solution at openstreetmap.org for taking GPS traces and converting them into pretty maps with street names and place names. A big step forward, well done to all who contributed. This entry was posted in pretty on April 11, 2006 by Tom. 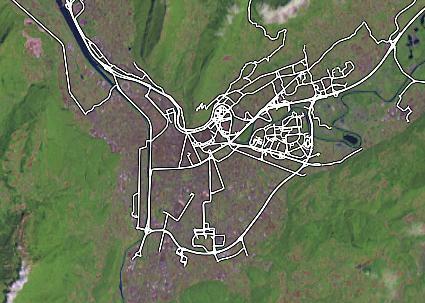 When I first got involved with OpenStreetMap, my aspiration was to make free maps to enable something like Wayfaring or Platial to be built. Even though those sites and many others are storming ahead without us and creating great services on top of Google’s Maps API, I still think it’s important for them to be able to access and build upon free geodata and avoid lock-in with commercial vendors. This is especially important for sites like Placeopedia that use Google Maps to geo-code things, because as Mikel Maron and Richard Fairhurst have pointed out (see the comments) it’s entirely possible that the map owners could claim ownership of the geodata they are creating. I’m not the only one thinking along these lines, of course. The Open Source Geospatial Foundation has a cross-project mailing list for people interested in similar issues, and numerous hacks and comparisons abound as people work out how similar but different the various mapping platforms are. Hackers everywhere have been murmuring about their dependence on Google for some time, and maps aren’t the first area where Google’s initial offering invites obvious commoditisation. Looking at the common features of the mapping APIs, it’s clear that the bar is currently set quite low: it’s scrolling tile-based maps with map markers, folks. With tongue in cheek, Schuyler Erle refers to this as “red dot fever” (more context here, though I don’t know if that’s Schuyler’s writing or a like-minded collaborator). Numerous open source equivalents have emerged, but none has taken hold to my knowledge. This cements the general feeling among the responses to Tim O’Reilly’s open question about Google’s Mapping API dominance: Google Maps is actually very good, it was first to market, its maps look nicest, its terms and conditions are reasonable and as a developer it’s pretty easy to work with. It’s clear to us that OpenStreetMap has a lot of catching up to do, but it’s also become clear to me that Yahoo and Microsoft do too. I’m watching this space. This entry was posted in Uncategorized on April 11, 2006 by Tom. OpenStreetMap contributor Etienne Cherdlu (aka 80n) has been working on converting the OpenStreetMap API output into SVG using XSL tranforms. So far so good! The projection on this example is only really suitable for Etienne’s area of interest, but this gives a good example of where we’ll be headed for the Isle of Wight workshop, and shows what is possible right now using OpenStreetMap tools and a little bit of hard work. Thanks Etienne! This entry was posted in pretty on March 17, 2006 by Tom. OpenStreetMap has contributors all over the world, and our biggest UK contributor is London-based courier firm eCourier. 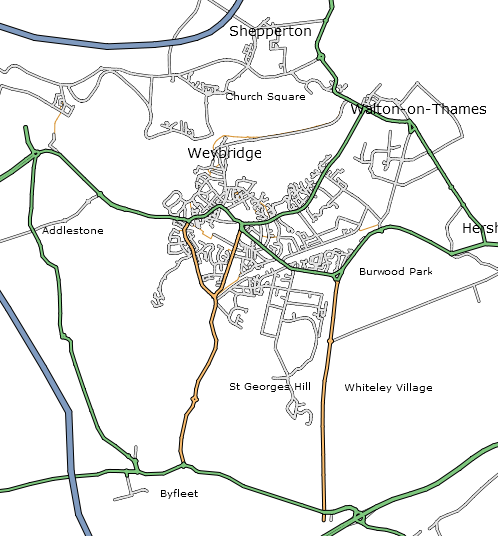 They kindly provide us with GPS data collected by their couriers, and when you edit a part of London it’s almost certainly thanks to them that the roads are so clear and easy to trace. We made a short animation to illustrate a sample of their data which they are hosting here, and you can check out their site and read more about our collaboration on their news page. This entry was posted in pretty on November 10, 2005 by Tom.